The World Wrestling Entertainment (WWE) Wrestlemania concluded on a successful note with several titles changing hands and legacies secured. 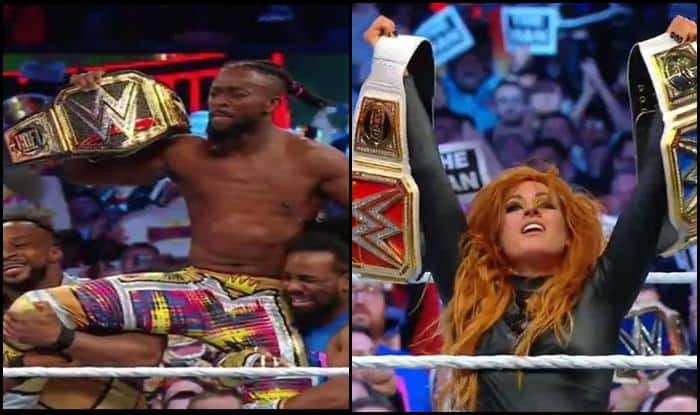 WWE WrestleMania 35 Results 2019: The World Wrestling Entertainment’s (WWE) biggest event of the year Wrestlemania concluded on a successful note and several titles changed hands with names being crowned as champions. The non-title matches as well saw some gripping contest with legacies at stake. Among the major titles, Becky Lynch won the ‘Winner Takes it All’ match – bagging both the RAW and Smackdown women’s titles. In the men’s category, Kofi Kingston registered history as he won the WWE Title, while Brock Lesnar lost his Universal title to Seth Rollins. In the non-title category, Aj Styles defeated Randy Orton while Baron Corbin defeated Kurt Angle in his farewell match. In the Andre The Giant Memorial Battle Royal match, Braun Strowman emerged victoriously.